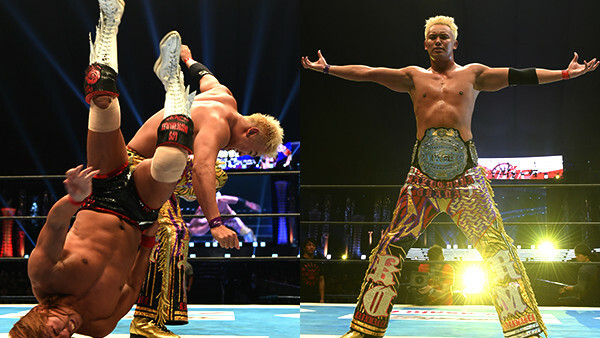 Quit complaining - Okada winning was absolutely the right move. What a way to start the year. Wrestle Kingdom 12 may not have had a match that scaled the heights of Kazuchika Okada and Kenny Omega’s Meltzer-rated six star classic a year ago, but that doesn’t mean it was a disappointment. From the bottom to the top, this was as consistent a wrestling show as you are going to find in 2018. The year is less than a week old, but Wrestle Kingdom 12 is almost certainly going to land on many ‘Show Of The Year’ lists in 12 months' time. The Tokyo Dome saw NJPW set itself up for 2018, with new stars established and clear pathways forged. There have been many complaints when it comes to some of the winners (or some of the losers, to be exact) on the night, but long time New Japan fans will know that faith is key with this company. Give it time - you will be rewarded in the long run. Wrestle Kingdom wasn’t entirely faultless, but plenty of boxes were ticked on what was a magnificent night for professional wrestling.